The Accidental Prime Minister cast just got bigger and brilliant. 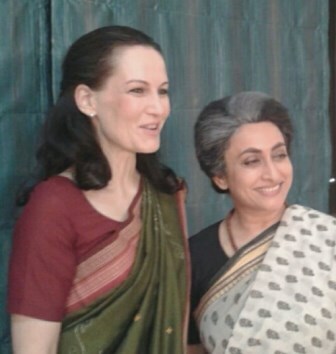 The movie will see #AnupamKher in the role of former Prime Minister of India #ManmohanSingh and now a German-born actor #SuzanneBernert has been roped in to play the role of former Congress chief Sonia Gandhi and veteran #NavniParihar will be playing Indra Gandhi in the much-awaited political drama. The film is based on Sanjay Baru’s book of the same name, the film helmed by debutante director Vijay Ratnakar Gutte also stars Akshaye Khanna as political commentator Sanjay Baru and Lipstick Under My Burkha fame Aahana Kumra as Priyanka Gandhi. Suzanne has worked in several Indian television shows and films. Her filmography includes a mix of various Indian languages and she was the first foreign actor to turn a villain on Indian television in the historical show Chakravartin Ashoka Samrat. She has even portrayed the role of Sonia Gandhi in a TV series titled Pradhanmantri which was hosted by actor-director Shekhar Kapur. The Accidental Prime Minister, which has Hansal Mehta as the creative producer, will hit the theatres on 21st December 2018.